Okay first… HOLY. MOLY book awesomenessssssss!!!! I am adrenalized. My heart is pumping, still. Totally 5 stars from me! And I’m starting to realize, the speed in which I read through a book, directly correlates to my enjoyment of it. I pretty much started it super-late last night (kind of in a “sample” mode), went to sleep, picked it back up this morning (still before 20% mark) and devoured it. Over 400 pages!!!!!! I ate them up in a matter of hours. Sometimes it takes me an entire day or a few days, for a 300-something page book. This one? Mere hours, and I didn’t skim a thing. I Ate. It. Up. And I want more. So now you know for sure. This is a MUST READ! Especially considering I’ve started and stopped 3 or 4 books over the weekend, struggling to get into them. To “connect”. Frustrated, I decided to backtrack on one of my TBR lists, and I remembered this one. Highly recommended by my friend Sadie (we’re into the same types of jaw dropping psych-thrillers) and quite a few others, and it sure sounded good. 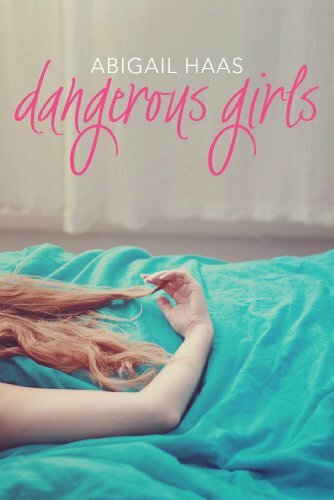 Sadie: Dangerous Girls was the perfect YA thriller for me. You need to read that one for sure. … It’s so good … My favorite YA psyc thriller that had me gasping out loud at one point. Lori: I loved “Dangerous Girls.” The ending… OMG the ending. Talk about a “Didn’t see that coming!” … I think this is one of my favorite genres right now. Mandi: I finished Dangerous Girls by Abigail Haas last night and that had a WTF Ending to it! Highly recommend that one as well!! Mind you, while I one clicked it long ago, I hesitated just because they were a bunch of “high school seniors” on vacation in Aruba. And I was all… YA? YA is often great, but… was this going to be easy on me? Or highschoolish? Maryse: What took me so long to read this????????????????? *gasp* SO GOOD!!!! My heart is POUNDING right now, it was so exciting. Sadie: I don’t know! Lol I’m so glad!!! Wait did you finish? Tracie: Finally!!! I loved this book so friggin much. The ending is totally gasp worthy. So glad you went for it! Meagan: Yep! I read this one, amazing hey! Try her other one, Dangerous Boys! Maryse: I AM SO GOING TO!!!!!!!!! HOLY. MOLY. I can’t even…. Sadie: Ive been begging you to read this since 2012!! Vox: I could not agree more. I read this book a few years ago, and I’m still obsessed with it. I don’t even want to tell you anymore. Go in BLIND. ‘Cause this book (other than knowing one girl in their group was brutally murdered in their rental house, and the investigators focused on her absolute best friend in the world), will lead you on a wild ride. All of the feels (but mostly of the adrenaline kind) will flood you. Everything was plausible. Everyone was being a TOTAL a$$ at some point. Even the girl murdered. And I found myself deeply connected to the heroine, appalled and outraged for her. The bastards!!! Who? I won’t say. You’ll see. I was right there with her every step of the way, and hung on to her every word. Psych-thriller perfection, my friends!!!!!!!!! Oh Abigail Haas… you are so clever. 😉 THAT is what I love in a book. Wow, what a review! Been waiting for something exciting. Just put it on hold at the library and so looking forward to it!!! You’re gonna love it Marina. And the ending CINCHED it for me. WOW!!! :D!!!!!!! That was crazy! I loved every second of it! Wow, just finished this morning. What a book! My thoughts, predictions, feelings were all over the place!